NEW YORK (MainStreet) — As we enter the threshold of this year’s holiday season, more and more people are catching on to the excitement for the “once in a lifetime” holiday mash-up now known as “Thanksgivukkah.” Coined by a Massachusetts resident, who also created this Facebook page and this Twitter page to spread the word, the term “Thanksgivukkah” is a name combination of the American holiday of Thanksgiving and the Jewish holiday of Hanukkah. Both holidays are set to be celebrated in tandem on November 28, 2013. According to this interview with Jonathan Mizrahi, a physicist and Jewish calendar specialist, this overlap will not occur again for approximately another 80,000 years. 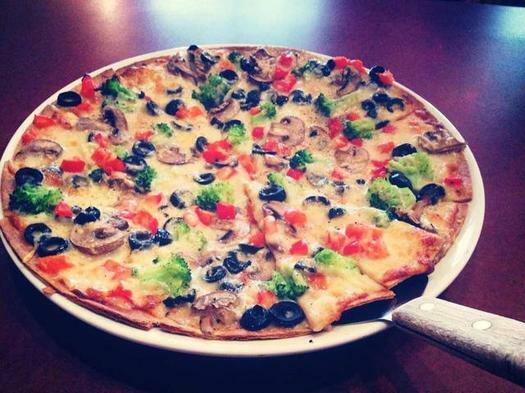 All the more reason to indulge ourselves, don’t you think? Well, we’re certainly not the only ones who think so! All levels of food enthusiasts have begun to brainstorm dishes that combine traditional flavors from both holidays. The following is a sampling menu of Thanksgivukkah-themed dishes that perfectly combine flavors iconic to these two highly-celebrated holidays! Fill an 8-quart pot three quarters of the way with salted water, and bring to a boil. Place the egg whites in a mixing bowl, and add a pinch of salt. Whip the egg whites until they form stiff peaks, and set aside. 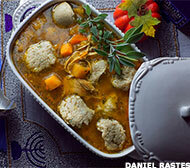 In a separate bowl, mix together the egg yolks, salt, chicken fat, matzo meal, club soda, onion powder and herbs. Gently fold in the egg whites. Place this mixture in the refrigerator for 15 minutes. Using your hands, roll the mixture into walnut size pieces and drop into boiling water. Reduce heat to a simmer and cook covered for 35 minutes. gifting. So I didn’t mind when Thanksgiving and Black Friday co-existed, one following the other. It was a shopping after-party to family day. But I drop my purse on the floor when it comes to family dinners, the big feasty kind, where we all sit together and talk and give thanks. Those aren’t as common as they once were. We can’t allow the growing number of Thanksgiving Day door-buster distractions to keep us from family. So I’m going to ask you, my friends, not to let deeply discounted gifts drive you crazy. Take this day back from big businesses. Watch football, eat until you need to unbutton your pants. Take a nap and struggle through awkward conversation with your loved ones. We all have traditions. Whatever yours are, do that today. Don’t let the retail frenzy clear your plates. But as I said, I love gifting. Every Thursday through Christmas, you can find me here and online (@jeneeinkc) with tips and gift guides of the non-Black Friday variety. Today: The gift of good food and drinks. Never underestimate the power of taste. And you don’t have to shop on Thanksgiving to score gift cards that come with a bonus. Friday sees the launch of the third annual Mince Pie Project, a Christmastime charity initiative that sees big-name chefs design and bake their own pies to be auctioned for charity. Funds will be split between Food Cycle, which serves meals to millions of people in Britain at risk of food poverty, and Kids Company, which provides practical, emotional and educational support for inner-city children. Last year the initiative raised over £30,000 with Duck & Waffle chef Dan Doherty raising £1,900 at auction for his box of gingerbread mince pies. 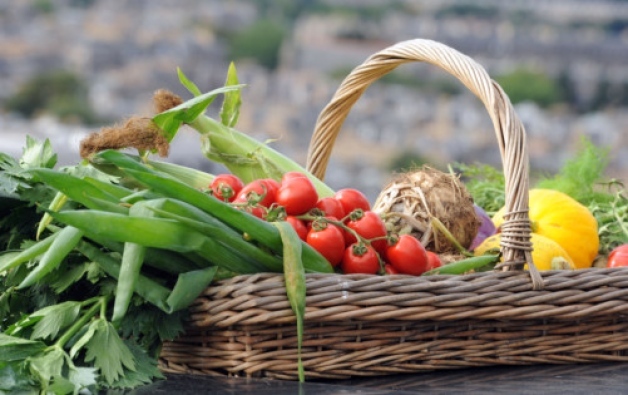 If you’re not in the market for spending quite that much, you can buy a raffle ticket for £2 with the chance of winning one of the chef’s pies and other foodie prizes. Those already announced as taking part this year include Clare Smyth of Gordon Ramsay’s Royal Hospital Road who’ll be using cranberries, apples, white chocolate and a crumble topping, and Anna Hansen from The Modern Pantry who’ll be incorporating almond and kumquat into her recipe. Log onto the website here to bid, buy raffle tickets and find out more. 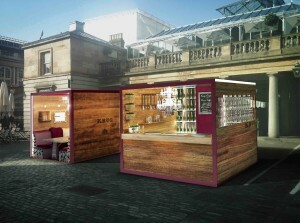 Just popped up in Covent Garden piazza this week is the Krug Kreperie experience, which runs until Sunday. Set inside three over-sized Champagne crates, you can pop-in mid Christmas shopping for a crepe created by French super-chef Pierre Koffmann (who previously popped up on Selfridges’s roof) accompanied by a glass of the namesake Champagne for £35. Pretty pricey for a pancake, though the cheapest Koffmann food you’re likely to find any time soon. It was confirmed this week that Gordon Ramsay’s next restaurant will be London House, due to open this coming February in Battersea Square (a part of London the website refers to as Battersea Village, no less). At the more casual end of the Ramsay spectrum, the restaurant will feature a “modern European menu”. This will be Ramsay’s second south-of-the-river venue after Union Street Café in Southwark, and looks likely to be in a similar vein. The announcement comes following new openings Source and Augustine Kitchen not far away, giving Battersea’s restaurant scene a (much needed) breath of fresh air. In Soho this week the team behind Spanish and Italian restaurants Salt Yard, Dehesa and Opera Tavern have launched Ember Yard; there’s a focus on cooking over charcoal, with grilled and smoked foods (and cocktails) at the heart of the menu. In Covent Garden Augustus Harris is a new daytime wine shop and deli that morphs into a Venetian-style bacaro (like Polpo) serving small Mediterranean platefuls of an evening. Fulham boozer The Imperial Arms has been abbreviated to The Imperial and relaunched as a gastropub with a seasonal British menu. And Shoreditch is getting a taste of Peruvian food courtesy of Andina, a new opening from Martin Morales who runs Ceviche in Soho; included is a BBQ, a games room and a downstairs pisco bar. Tried or going to any? Let us know in the comments below. A delectable-looking gingerbread village, sadly never to be eaten. That’s what New York Chef Jon Lovitch created, while simultaneously nabbing the title world’s largest edible gingerbread village. Certified by the Guinness Book of World Records last week, this real life Candyland has 152 houses, 65 candy trees, five trains, and even an underground subway station. Made with homemade candy and a custom-designed gingerbread recipe, the delectable behemoth clocks in at over 1.5 tons — making it the largest edible gingerbread village ever built. Lovitch told FoxNews.com he began the project in February, baking all of the pieces in his tiny Bronx apartment. He kept the spare parts in an extra bedroom before moving them to the New York Hall of Science in Queens for final assembly. Many candy villages use chocolate or even inedible materials, such as glue, to fit the pieces together, but GingerBread Lane is one solid mass of just three main components. 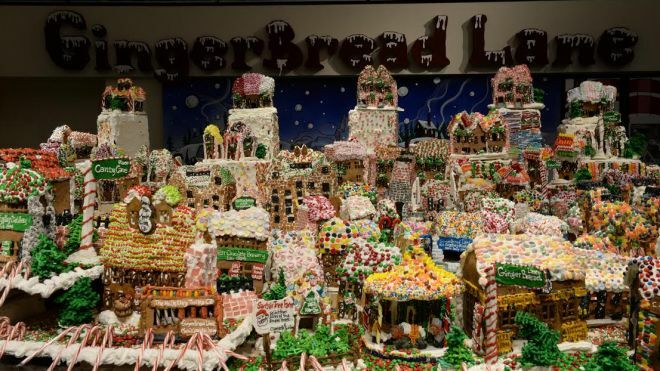 With 2,240 pounds of icing, 400 pounds of candy and 500 pounds of gingerbread dough, this village is any dentist’s worst nightmare. Talk about a sugar rush. Lovitch’s passion for gingerbread projects began almost 20 years ago and he has shown his displays in Washington, D.C., Kansas City and Pittsburgh. Knowing the village this year would be exhibited in such a large space, he said he was inspired to go big. “This year, being in New York City, I just wanted something really imaginative to go with the whole theme of science. It’s just whimsical, so I wanted to play with the height and largeness of the space,” he said. And gingerbread villages don’t come cheap. Lovitch funded the entire project and says he spent “a few thousand dollars,” although he didn’t reveal an exact figure. The effort apparently paid off with his Guinness Book of World Records title. The village will be on display until the beginning of January 12, after which lucky visitors will have the chance to receive a piece of this enormous confection –just for a keepsake. Biting the months-old cookies would probably crack a tooth. With the holiday season approaching, many of us are booking flights to visit family, friends, or simply to go on a vacation. Though flying often is a convenient and quick way to get from one place to another (if you don’t get hit with delays or airport lines), it can also come with some unpleasant side effects. For those traveling longer distances and passing through different time zones, jet lag can be hard to avoid. But another common side effect of air travel, “jet bloat,” might actually be quite easily prevented. “Jet bloat” is not a made-up term, but an actual condition that’s surprisingly common among passengers on an airplane. According to a report on PRweb, the term “jet bloat” refers to “the body’s increased volume of gas that occurs from airline travel,” and the higher the altitude, the more the gas expands in our bodies. Luckily, there are a few simple things we can do to try to avoid the feeling of extra bloating and discomfort during flights, starting with what we eat. Before boarding an airplane, it might be smart to stop and think about what foods and drinks we choose to consume. Though the classic preflight cocktail at the airport might calm your nerves, it can also make your flight more unpleasant: The air on a plane is much dryer than what we are used to, and combined with the dehydrating effect of alcohol, this can easily lead to headaches and other feelings of discomfort. Alcohol and coffee are both drinks one should avoid before flying, both because the risk of dehydration and their tendency to mess up a normal sleeping pattern. If you’re feeling hungry before jumping on a plane, there are also a few food items that probably should be saved for a post-flight meal. Though grabbing a burger and fries from the fast-food joint next to your gate might seem like a smart choice on-the-go, at an altitude of more than 35,000 feet your body might start to disagree. Though fast-food is never the best food choice, digesting foods loaded with sodium and saturated fats becomes even harder for our body at a high altitude. A more unexpected food item to avoid if you’re looking to prevent that bloated feeling is chewing gum, which might indeed help popping your ears, but the continuous chewing also makes us swallow air, causing extra gas in our bodies. In order to avoid “jet bloat” and make your next voyage more pleasant, we at The Daily Meal have picked out 11 foods and drinks you might want to hold off eating until your flight has landed. So before heading to the airport next time, click through our slideshow and get tips on how to be smart about you travel-day snacking. 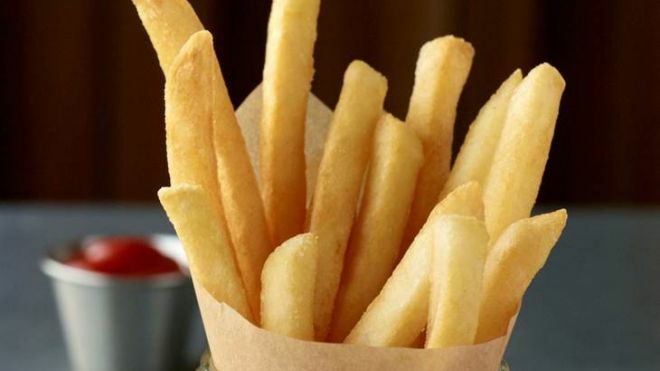 Britain’s fish and chip industry grew +1.1% in the year ending September 2013 but faces heavy competition from fast food brands in £11bn market. 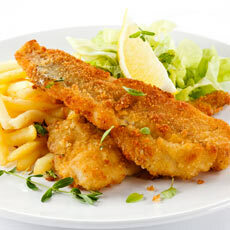 New foodservice industry figures from The NPD Group Inc, a global information company, show that Britain’s fish and chip shops saw a small increase in total spend (sales) of +1.1% to year ending September 2013. Consumers are now spending an average of £3.20 per person each time they visit their local chippie. But will Britain’s chippies struggle to survive as they compete with the fast food giants and other chains? Fast food has done well in the recession as people trade down to the cheaper channels when eating out. The British fast food market (which includes burger chains, chicken shops, kebab shops, takeaways, chippies and pizza deliveries) is now worth £11.4bn in Britain – that’s 23% of the total out-of-home (OOH) eating industry. Brands account for 50.4% of traffic and 50.6% of sales in the fast food market and they’re growing. These figures are up +1.9% and +3.3% respectively over the last year, and saw double digit growth since 2008. The independent outlets selling fish and chips need to offer quality and good prices if they are to beat off the fast food brands. ‘Quality of food’ has increased in importance this year with 24.5% of fast food consumers saying this was a reason for choosing a particular place to eat (up from 22.6% last year). 28.7% of consumers cite ‘good price’ as a reason for choosing where to eat in the fast food market – up significantly from 9.7% in 2008. How can chippies fight back? Convenience: 39.5% of fast food consumers cited this as a reason for where they choose to eat out (YE Sept 2013). Fish and chip shops would do well to emphasise convenience because they can serve fresh, hot food quickly, and they typically serve a local and often loyal catchment area that’s close to the outlet. Family dining: People are going out to eat less often, but it has become more of a special event. ‘Spending time as a family’ has increased in importance every year since 2008 – with 11.2% of fast-food consumers citing this as their motivation to go out and eat now vs. 7% in 2008. Fish and chip shops can underline their family appeal more. Treat yourself and the kids: The desire for a ‘treat’ was the motivation to eat out for 22.7% of fast-food consumers (YE Sept 2013) vs 19% in 2008. Do consumers feel a visit to their local chippie is a ‘treat’? WORK began today on the development of Perth’s new Food and Drink Park in the city’s North Muirton area. The development of the seven hectare site for business use is expected to create 36 jobs during the construction phase alone and, once fully developed, will create or safeguard up to another 400 jobs in the city. The creation of the park has been made possible by Perth and Kinross Council’s Commercial Property Investment Programme. A spokesman for Perth and Kinross Council said: “The aim of the CPIP is to build on existing strengths and opportunities in key sectors such as food and drink and support local economic growth by providing business space and infrastructure that will help attract companies to locate and/or expand in Perth and Kinross. He added: “Today is significant because it marks the start of the council’s programme of investment which will support and expand our local economy. Our ambition is to grow the business sector and to bring greater prosperity and employment opportunities to this area of Scotland.